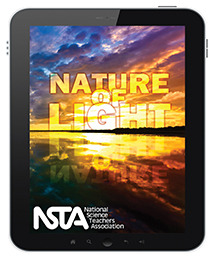 The Nature of Light Enhanced E-book* explains the characteristics of light, discusses the concept of light as waves, explores the idea of light and color, and ultimately answers the question, "What is light?" Topics covered include reflection and refraction, the electromagnetic spectrum, light perception, and emission spectra and absorption spectra. Teachers, students, and lovers of science will find the clear and concise format engaging and informative.